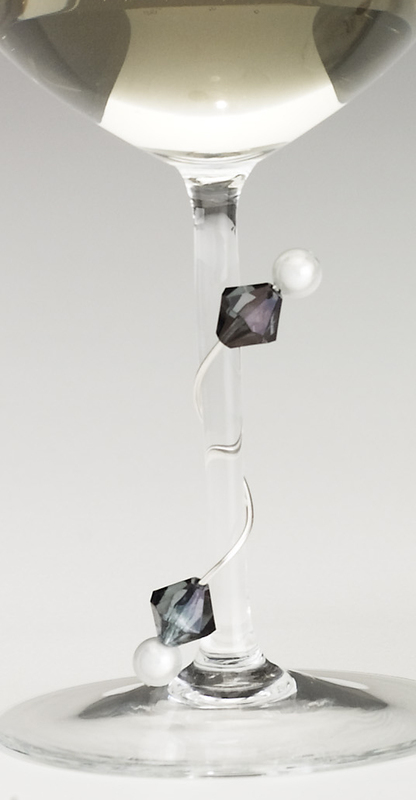 These fun "Stylish Stems" by Talisman Designs are the perfect way to beautify and identify any cocktail or wine glass. Each piece is handcrafted with silver plated wire and beautiful embellishments, making these snap on gems for stylish stems. These decorative pieces cling to the stem of the glass and simply click on and off making them easy to use. The Art Deco Black Tie design features diamond shaped crystals and reflective round beads in a sophisticated black and white color palette.